Join us for the Grand Opening of their new office. Central States SER is a workforce development nonprofit 501 c which focuses on development and education programs that believes in the potential of each and every individual. We promote economic self-sufficiency and upward mobility for low-income community residents. We have assisted thousands of marginalized and disadvantaged residents in achieving their career and academic goals through quality employment, education and training programs. 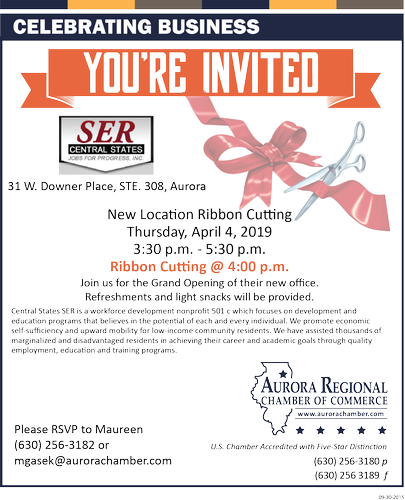 Ribbon Cutting @ 4:00 p.m.